LED Model: XM-L T6 LED. 1 x Headlamp. Life span:100,000 hours. Brightness: 6000lm. 90° Adjustable Headlight, Very Convenient. Bulb TypeLED. 1 x USB Cable. One button switch design, with 3 adjustable modes. This headlight only weighs 50g (battery weight not included), which is great for sports, like hiking, camping, running, walking, etc. Change mode via the bottom button of the headlight. LED Streifen. Lightweight, versatile and comfortable, the Energizer ATEX LED Headlight is perfect for electrical, plumbing, HVAC or other work that requires both hands. It puts light where you are looking. With four light modes, a flip-up diffuser lens and water resistent design this headtorch is ideal for worksites. The Phazor Torch only weighs 28 grams (1 ounce). General specifications of the Gardner Phazor Torch are Battery life: 10 hours (minimum) on High-Light mode. Battery type: AA (not supplied). Petzl Pixa 1 Industrial Headtorch. Mode 1: 20LM 10M 16H. Mode 2: 60LM 15M 3H30. Total Access Direct. Weight: 160 grams. © Arco Professional Safety Services Ltd. LED Streifen. LED Strahler. LED Schreibtischlampe. LED Taschenlampen. Outdoor Lights &Interior Decor. LED Fahrradbeleuchtung. 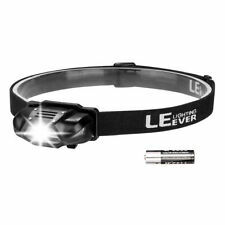 This headlight only weighs 50g (battery weight not included), which is great for sports, like hiking, camping, running, walking, etc. The krypton bulb is 70% brighter than a conventional bulb. The two small night vision front red LEDs can either be turned on fully, switched to a continuous flashing option or an SOS flashing option. A rubberised top button switches the torch on and off as well as scrolling through all of the lighting options. 5 modes (Cree LED: Hi, Low & Flashing, Red LED: Constant & SOS). Weight: 30 g (including batteries). Main and rear red warning light features on/off or flash facility using individual switches. - Adjustable headband and foam brow for added comfort. Site Lights & Cable Reels. Power Tool Kits. General Hardware. A bright light beaming right where you want it most. 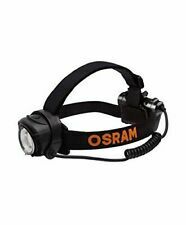 Durable headlamp and easy to use. 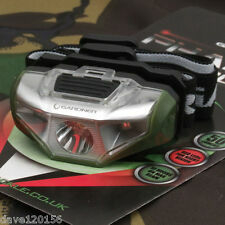 1 x LED Headlamp. 100% new and high quality led headlight lamp. Effortlessly and flexible Headlight. 90° Adjustable Headlight. 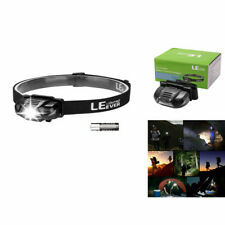 LED Zoom Headlight Torch T6 Headlamp Head Light Lamp Black. LED Model: XM-L T6 LED. 1 x Headlamp. Life span:100,000 hours. Brightness: 6000lm. 90° Adjustable Headlight, Very Convenient. 1 x UK Charg ing cable. CREE XML T6 LED Bike Bicycle Cycling Headlight Front Rare Head Tail Lights Lamp. 6 modes: 1 T6 LED, 2 T6 LED, 3 T6 LED, 2 XPE LED, 5 LED, 5 LED flashing. 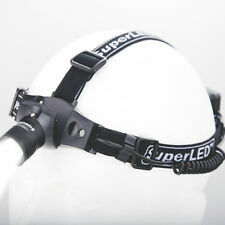 Super Bright Waterproof Head Torch/Headlight LED USB Headlamp Fish 3AAA Battery. This professional heavy duty 3W CREE LED headlight has an anodised black aluminium body and features a high intensity adjustable light beam. Ideal for a wide range of outdoor and indoor activities. 410.337 - 3W Cree LED Headlight. Bulb: 1 XPE 2 LED. 4 mode: low white / high white / red flash light. 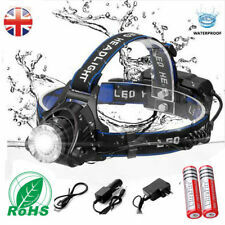 High intensity LED - Powerful enough for lighting outdoor or fishing at seaside. Adjustable base is provided for each head lamp, with back and forth inclination. LED Model: XM-L T6 LED. 1 x Headlamp. Life span:100,000 hours. Brightness: 6000lm. 90° Adjustable Headlight, Very Convenient. Internal wiring applies the high efficient booster circuit. Bulb TypeLED. Petzl DUO LED 5 Headlamp (Halogen & LED headlamp). All-terrain headlamp -Space for spare halogen bulb in the light body of the headlamp. -Adjustable and comfortable elastic headband. -Halogen light for long-range, focused lighting with adjustable zoom. NEW Ben 10 Projector Torch. COLOUR AND DESIGN MAY VARY. Push Button Display. Waterproof: IPX4. This headlight only weighs 50g (battery weight not included), which is great for sports, like hiking, camping, running, walking, etc. LED Head Torches. LED Ceiling Lights. LED Outdoor Lights. PETZL Adjustable Elasticated AA Battery Head Torch Lamp Camping, Work , etc. Very handy torch for camping, work, fishing etc. Twist to turn on and adjust beam. Rubber rear pulls off to load batteries. Spare bulb attached to rear. Fully adjustable to sides and top. Waterproof: IPX4. LED Flood Light. Main light modes: High brightness, low brightness. LED Camping Lights. Camping Lighting / Floodlights. Red-light modes: Steady on, flash. (of high brightness), 10 hrs. Red, Green and Blue night vision modes cover the spectrum of night vision needs. Clothing and Footwear Settings include full strength (in proximity and distance modes), dimming, strobe, RGB night vision options and lock mode. Waterproof: IPX4. 4 Modes Main light modes: High brightness, low brightness. Red-light modes: Steady on, flash. This headlight only weighs 50g (battery weight not included), which is great for sports, like hiking, camping, running, walking, etc. OUTDOOR & CAMPING. COLOUR: Black. Stylish LED light with a built in fan. Fan function. SAFETY & WORKWEAR. 3 functions _ 7 LED / SOS / Flashing. We reserve the right to alter specifications without prior notice. Atex Headlight. Intrinsically safe headlight. Tough, Dependable And Hardworking Torches For Professionals. • Shatterproof lens. Works with 3×AA batteries. • The light pivots, to direct the beam where it's needed. Unilite Prosafe LED Headlight. Creed LED Light. Waterproof: IPX4. Main light modes: High brightness, low brightness. Red-light modes: Steady on, flash. LED Outdoor Lights. of low brightness, and 5 hrs. of high brightness. LED Head Torches. This headlight only weighs 50g (battery weight not included), which is great for sports, like hiking, camping, running, walking, etc. Beam distance: 80m. Torch Type :Work Light. Torch Body Material :Plastic. Beam Effective Distance :-. Luminous output: 150lm. Light Source :1 x LED. Weight: 320g. Power Source :AA Batteries x 4. LIFESYSTEMS INTENSITY 155 LED HEAD TORCH. • CREE XPG3 S2 white LED and 5mm Red LEDs (x2). • 7 lighting modes including SOS flashing. • IPX6 water resistant body with adjustable head strap. Featuring the FACE2FACE anti-glare function, the DUO Z2 headlamp allows those working in a group to face each other without blinding one another, enabling them to work more effectively together. Powerful multi-beam headlamp that runs on standard batteries, with FACE2FACE anti-glare function, for use in ATEX hazardous areas. PETZL PIXA 2 Head Torch. CONSTANT LIGHTING technology: brightness does not decrease gradually as the batteries are drained. Available in ATEX or HAZLOC versions. - low-intensity mode adapted to close-range work: mixed beam with a wide, uniform flood. Apache LED Torch. A small durable hand torch with bright 7 LED bulb. 7 LED ultra bright torch. NEED OR WANT YOUR ITEM QUICKLY?. This headlight only weighs 50g (battery weight not included), which is great for sports, like hiking, camping, running, walking, etc. Also, tilting the headlight part, you can adjust the beam direction. Black Diamond Icon Headlamp. Red, Green and Blue night vision modes cover the spectrum of night vision needs. Settings include full strength (in proximity and distance modes), dimming, strobe, RGB night vision options and lock mode.